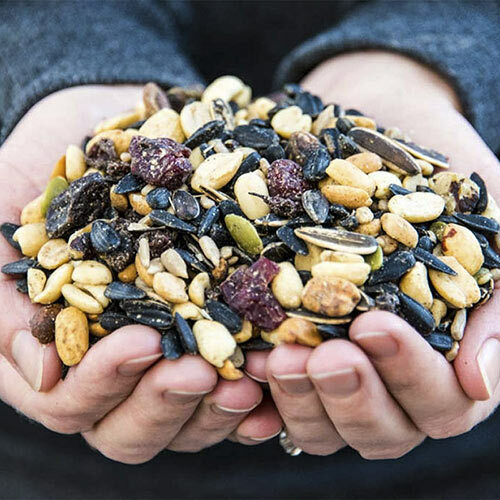 This mix looks so good, you'll almost want to sample it—but leave that to the birds, they'll love the colorful blend of seeds, nuts and fruits. 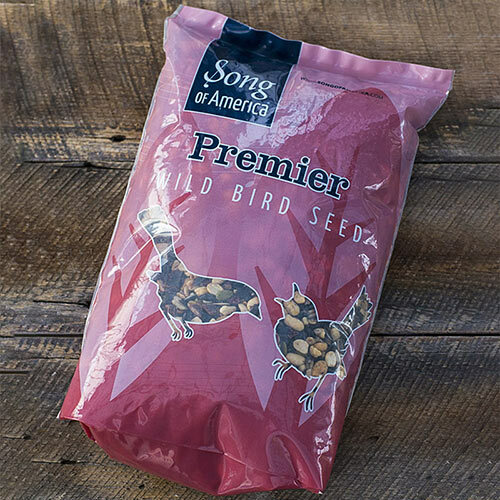 Excellent for avid birders with a communal feeder, as sprinkling this food on the ground or in a ground feeder will help attract a greater variety of birds in two ways. Firstly, you'll see all the ground-feeding birds who don't prefer seed served up high. Secondly, this mix has all the best treats to draw territorial birds such as woodpeckers and blue jays away from the communal feeder. That way, they won't drive out the other birds you wanted to watch. Also, if you have a woodpecker frequenting a little too closely to your home, knocking loudly and causing any damage, this is a nice way to help keep it out of your hair. 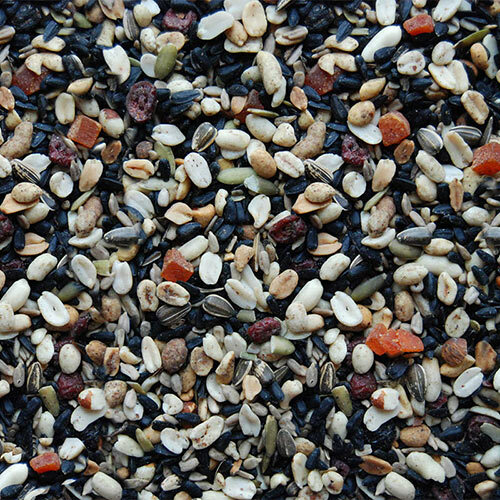 This mix includes Black Oil Sunflower, Stripe Sunflower, Premium Chips, Shelled Peanuts, Chopped Tree Nuts, Cranberries, Cherries, Papaya, and Hulled Pumpkin Seed. 5 lb bag.